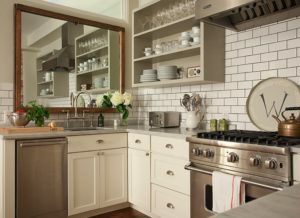 Cabinets are one of the most important (and exciting) design decisions you will make in your kitchen or bathroom remodel. 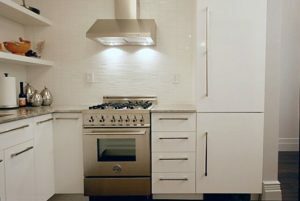 It’s hard to imagine it being too difficult to pick the right cabinets for your project, but with all the styles and construction factors to consider, it can prove to be quite the task. There’s so much to consider, in fact, that this discussion is being delivered to you in three separate parts. This part will discuss cabinet doors. Cabinets are arguably the most prominent item in the room and set the tone for the whole space. 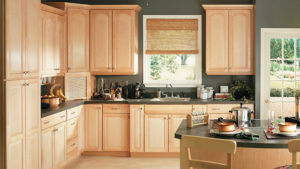 Because cabinets are so noticeable, and so costly, it’s important to make the right cabinet decision for your needs. You’ll need to consider a few questions before you decide. What design do you envision in your space? 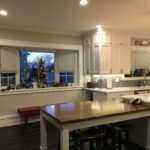 How will you use your cabinets? What is your budget? 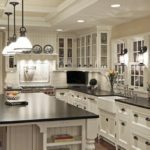 The answers to all of these questions will determine which cabinets are best suited for your remodel project. While you mull over those questions, let’s talk about the different types of doors from which you will be choosing. Most cabinet door styles will consist of rails and an interior panel – the exception being slab panel doors. 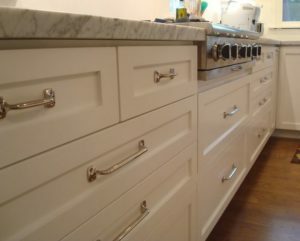 The combination of the rails and panel is what gives a cabinet door its distinction. 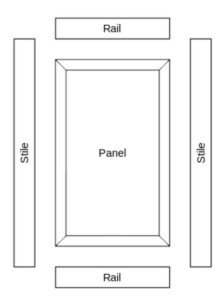 Below is an image to illustrate the terminology used in cabinetry making. Recessed panel doors are also referred to as shaker or Mission style doors and boast a simple flat center panel. Recessed panel doors have become wildly popular over the past several years because they provide a historical and furniture-like appearance. Their simple, clean lines appeal to those who wish to show off a minimalist design. Raised panel doors have a center panel with both a recessed and a raised surface to provide dimension and interest. Raised panel doors are very traditional with options to make them as simple or ornate as you wish. Arch doors are mostly found in traditional designs with an arch along the top rail of the cabinet door. There are three types of arch doors: standard arch, cathedral arch and “eyebrow” arch. The cathedral arch is more ornate and dramatic than the standard arch, while the “eyebrow” arch has a flatter arc than the others. Mullion doors and open frame doors incorporate glass into their design. Mullion doors use dividing bars between multiple glass panes while open frame doors use one pane of glass and lack dividing bars. 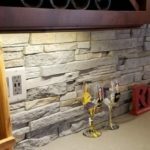 These doors are decorative in nature and not typically used throughout an entire kitchen. Both styles of doors are versatile enough to be paired with any kitchen or bathroom design or cabinet style. Louvered doors are rising in popularity. Louvered doors have a center panel made up of multiple horizontal slats similar to a house shutter. The slats can be “open” or “closed” depending on the door’s purpose. Open louvered doors allow for airflow into and out of the cabinet and are used for spaces that require ventilation. Closed louvers provide the appearance of louvers without the open-air functionality. Louvered doors are very costly, but have been popping up in cottage, beach, traditional, rustic and contemporary designs. Once you’ve chosen what the doors will look like, it’s time to choose how they’ll fit on the cabinet box. This is called overlay. Overlay is described by how much face frame is present when the doors are closed. 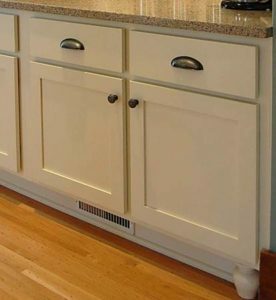 With partial or half overlay, the cabinet frame is visible between and around the doors and drawers. 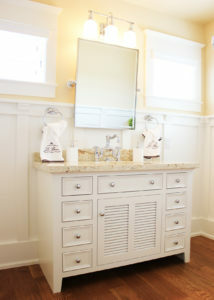 This style is often found in more traditional designs and can provide a very classic appearance. 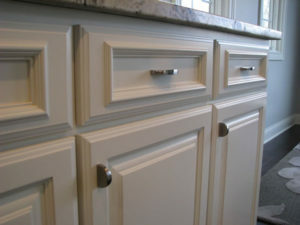 The partial overlay can be achieved with any style of door or drawer front. Full overlay allows for no visibility of the cabinet frame between and around doors and drawer fronts. This overlay supports a modern or contemporary design and delivers a “cleaner” style. The full overlay can also be achieved with any style door or drawer front. The inset construction gives a very historic and furniture-like appearance. With inset, the doors and drawer fronts are flush with the cabinet frame – they sit within the frame instead of being mounted on the outside. Because of the care and precision needed to ensure the doors fit well and open easily, even when the wood expands and contracts over time, this type of construction is the most expensive option. 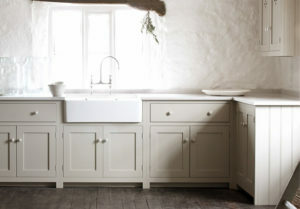 Inset cabinets tend to come with recessed panel doors and drawer fronts and lends a character most often seen in arts and crafts architecture. 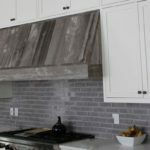 There’s so much more to learn about cabinetry and how to choose what’s right for your kitchen or bathroom remodel project. Stay tuned for Part 2: Cabinet Construction. 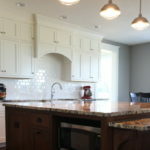 When you’re ready to discuss your kitchen or bathroom remodel project, Moose Ridge Design-Build Construction is here to help. Click here to call Aaron today!